When the company declared its "reengineering success" and the publicity machine ramped up, it had a new business model on paper — a process blueprint, a series of cultural changes under way, and a pilot of the new business model just starting. These were all good things and to be expected after investing many millions of dollars on people, systems, and consultants. But questions soon emerged: How do we know the model will work? What's it worth? Where's the economic model, and when do we make money at this? In process improvement programs, when things get tough it ALWAYS comes back to money: How do we make money from these process changes? What kind of return can shareholders expect, and when? In this case, the answers were not there, the effort was stopped, and a new management team took over. So it's a matter of nuance that we'd update Brad's argument to this: In process improvement programs, when things get tough it always comes back to results: how do we measure the results of these process changes? Results may in fact be money. But it may not. One of the best lessons we can take away from today's post is to consider very carefully how we define the projected results of our efforts, how we measure and track results, and how we communicate our results to stakeholders. Another terrific post from Power that is worth your consideration this morning. Wal-Mart's size, however, gives it unique power to shape what people eat. The grocery business of the nation's largest retailer accounts for about 15 percent of the industry in the U.S. and is nearly twice the size of No. 2 competitor Kroger. "This is a game changer," said Michael Hicks, associate professor of economics at Ball State University and author of a book on Wal-Mart's economic impact. "If Wal-Mart could reduce the prices on healthy food and provide access to them in more places, you could have a measurable effect on incidences of diabetes and heart-related ailments." Many have commented on the impact this change could have on the U.S. diet -- a dramatic change that has the potential to affect a significant portion of the nation over a short period of time. That's great news for eaters everywhere, even if food is not a typical topic for this site. Reflect for a moment on the scale of the Wal-Mart announcement as a change project, though. What Wal-Mart has announced amounts to a fundamental change that affects every team and staff member -- at some level -- across the organization. Research and development must come up with the quantifiable standards to measure partner performance as they retool their food products. Outside partners must retool their products to meet new Wal-Mart standards to maintain visibility on store shelves -- the list of partners in the TIME piece that have already committed to this project indicates the scale: "Bumble Bee Foods, General Mills Inc., Campbell Soup Co., PepsiCo Inc. and Kraft Foods Inc."
Merchandising must orchestrate sell-through of existing products and drive adoption of new products on local store shelves. Marketing must drive a new years-long campaign promoting not just a new product, but a new way of understanding food, with messaging, design, and interaction with consumers in a most sacred space: at their dinner tables. Program and project managers must orchestrate activities across inside and outside teams to deliver new food products on time and on budget. And they have to do it all in a way that inspires buy-in to a new way of working at Wal-Mart. As we've been discussing this week and last, the importance of buy-in can't be understated: it's what allows people to challenge current work habits, and make room for positive, inspired change. Hats off to Wal-Mart for taking the hard road, the road of change. In an era of tough news in the headlines, it's refreshing to see this sort of consumer advocacy approach with one market-driven solution to our national health crisis. It's also easy to go to the other extreme, and take on too little. So you launch a 10-minute walk at lunchtime three days a week and stay at it. The problem is that you don't feel any better for it after several weeks, and your motivation fades. The only way to truly grow is to challenge your current comfort zone. The trick is finding a middle ground — pushing yourself hard enough that you get some real gain, but not too much that you find yourself unwilling to stay at it. We see all too often organizations tepid on making the ultimate commitment to change play in the extremes. Going too far and thrusting teams into change beyond their readiness can signal both poor planning, and a back-pocket attempt to ensure change efforts fail at the will of the status quo. Not going far enough can signal a team that isn't ready to make big change, and most likely doesn't fully understand the goal of change initiatives. Here's a very simple way to surface your competing commitment. Think about a change you really want to make. Now ask yourself what you're currently doing or not doing to undermine that primary commitment. If you are trying to get more focused on important priorities, for example, your competing commitment might be the desire to be highly responsive and available to those emailing you. For any change effort you launch, it's key to surface your competing commitment and then ask yourself "How can I design this practice so I get the desired benefits but also minimize the costs I fear it will prompt?" By our experience, he's vastly underplaying the point. The biggest danger that lies in uncovering competing commitments is the subconscious unwillingness to veer off the path of the status quo. Integrating teams across functions, units, service centers, and so on, counts on our collective ability to show benefits powerful enough to lead those with deeply entrenched habits that may fly in the face of our objective. It takes great leadership and skill to navigate those waters; Schwartz's is a great piece to continue our thinking here. The Economic Crisis: Danger or Opportunity? Is the economic crisis a threat or hidden opportunity? It depends. For those who see it as a threat, they will maintain the status quo, keep their heads down and hope for the best. For those who see this crisis as an opportunity, an entirely different set of behaviors come out - a renewed sense of energy and willingness to demonstrate their value to the organization. Which set of behaviors increase the likelihood of landing in a good or better place? It reminds me of the story where a man is praying to God in hopes of winning the lottery. After months of not having his prayers answered, God finally reaches down and says to the man “I have heard your prayers but if you could do me a favor…buy a ticket.” To get something better in life, you’ve got to get in the game. Attitude Adjustment – Of all the strategies that can help shift one’s focus, attitude is the most important. Attitude drives behavior. As Dr. Alan Zimmerman talks about in his book Pivot: How One Turn in Attitude Can Lead to Success, “No one gave you a good attitude and no one can give you a bad attitude. It’s a choice.” This is a powerful statement and for many a useful wake-up call. Recently Dr. Zimmerman was interviewed on CBS's Early Show and he was asked how we can maintain a positive attitude in the face of many challenges people face today. His response was “Failure is not the falling down but the staying down”. When people have setbacks, he suggests that they avoid the “Why” question. Why did this happen to me? Instead, focus on how you can learn from the failure. Simple, yet useful advice. Network – Whether one is gainfully employed or looking for work, networking is a key strategy to stay connected with new opportunities. Many of us find the prospect of networking to be outside of our comfort zone, but networking can bring huge dividends in learning about how one's organization is changing or about job opportunities that may be perfect for one’s skills. Most jobs are filled through someone knowing a person who is right for the role. With all of the hiring freezes, vacancies or even layoffs, now is the time to stand out and show your interest in making a greater contribution. Management is looking for the best people right now, and they have much to choose from. Improve your position by building relationships through networking. Take Risks – Networking is a form of risk-taking, i.e. getting out of your comfort zone. Practicing stepping outside of one's comfort zone is an important skill to develop, especially in times of perceived crisis. While others may be retreating to cautious behavior, those who take calculated risks can reap huge rewards. Opportunities are waiting. Professional Development – This may be the best time to develop new skills. If one’s organization offers professional or technical classes, jump in. There are multiple benefits to this. Firstly, new skills put one in a position to take on new responsibilities; secondly, it’s a networking opportunity. Most importantly, focusing on developing new skills increases one’s confidence and focuses one’s energy on positive action, versus the default reaction to how bad things are. Update One’s Resume or CV - Updating a resume can be a great way to increase one’s personal confidence. Most of us wait until we need a resume for a job application versus using the process of updating a resume to survey one’s skills. When we see our accomplishments on paper, it builds confidence to pursue other challenges or take on greater responsibility. Even if you’re content with your current role, having a resume handy can be very useful if a new opportunity arises. This is a competitive job market and many others are prepared to jump on an opportunity that may be perfect for you. In times of crisis, we can dig our heels in, close our eyes and wait for the anticipated changes around us to happen. This is one option. We can also choose to get in the game by facing the challenge and asking “How can I help myself be in the best position when the dust settles?” Reminding each other we have this choice is the best way to help ourselves and others through this economic crisis. There are hidden opportunities in a crisis. The question is: Will we allow ourselves to get involved, take a chance and trust that we will benefit from our decision to be proactive? Many thanks to Denis Walsh for his observations and feedback. The economic crisis has jump-started a long-standing conversation among senior leaders in Higher Education. How can we best deliver services to our core stakeholders while finding ways to positively impact our financial condition? Since the economy tumbled in September 2008, actions taken by universities run the spectrum of “wait and see” to rethinking how to deliver services and programs, all while keeping the academic and administrative trains running. Like its corporate partners, colleges and universities are now publicly embracing the “bottom-line” as the core enabler of its mission. 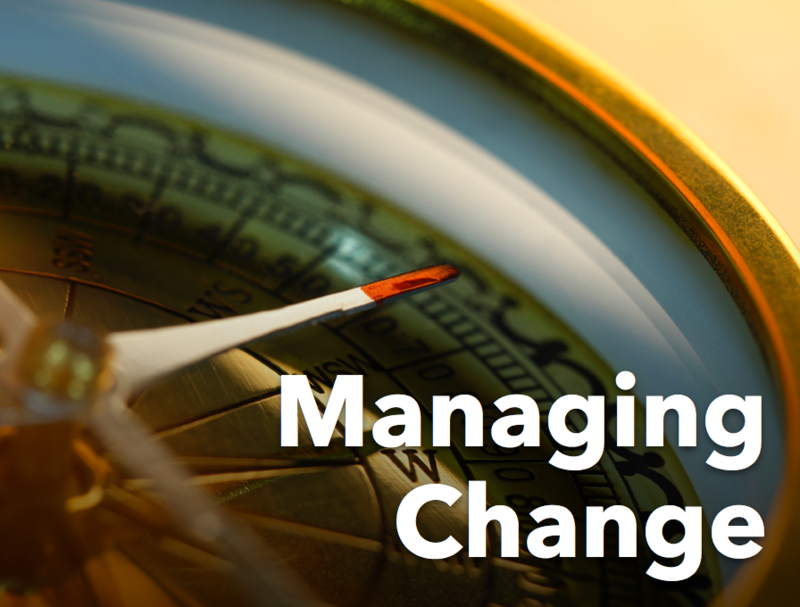 For institutions that have embarked on broad organizational change, one thing’s for sure. Staff and faculty are anxious. While the most prevalent anxiety spoken is “Will I still have a job on the other side of this crisis?”, it's not always about losing one’s job. The underlying fear is uncertainty. In this period of change, institution leaders have two primary concerns: What if our planned restructuring to address the financial crisis evoke a sufficient negative reaction that cause it to fail? Even worse, what if the changes put in place are not enough? On the other hand, if you ask staff doing the work what they fear, it's the uncertainty of how they're jobs may change or worse, go away. The power of uncertainty can have great control over our lives. Why would someone choose this counter-intuitive behavior? Simple. It's more stressful to wait for something negative to happen than get it over with now. Knowing what's coming has tremendous influence over our ability to focus. When changes like possible layoffs or organizational restructuring are anticipated, people's anxiety levels are raised and strong emotions are evoked - from anger and fear for some to enthusiasm and excitement for the lucky few. The majority react to anticipated change assuming it will be bad for them. This, in itself is an irrational reaction. 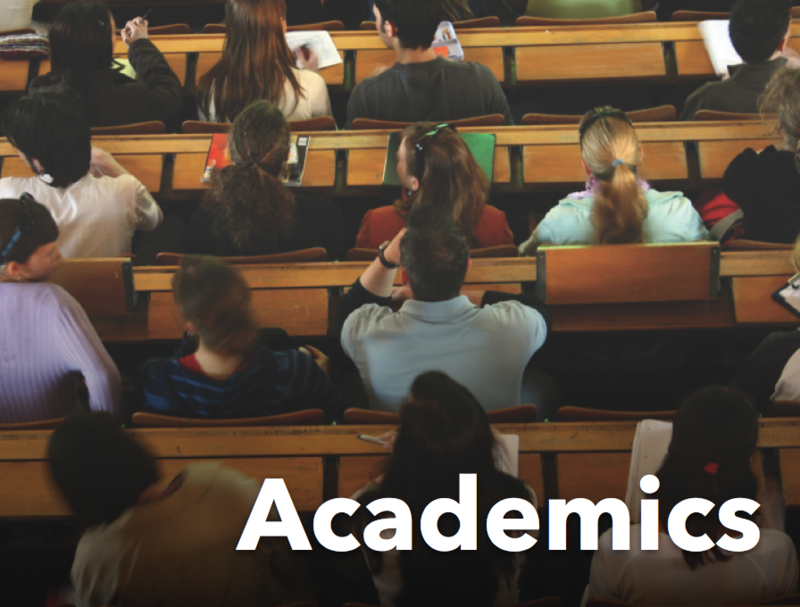 If we’re serious about transforming Higher Education, we need leaders to make tough decisions that position our institutions in a fiscally sound direction. These changes will not come all at once and require thoughtful analysis before implementing. There is no getting around that in this period of analysis, anxiety will be heightened because not all the answers will be clear. 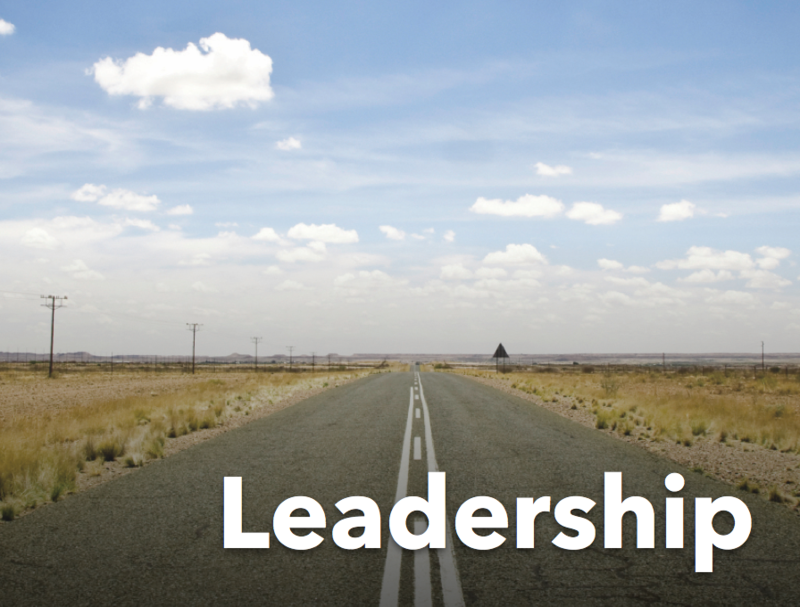 Institutional leaders need to help their most important assets, people, get through this period of accelerating change. But it's ultimately up to the individual to decide whether the coming changes are something to avoid or an opportunity to take advantage of. Those who maintain a positive attitude through these challenging times are not free of fear or anxiety; they just choose to put their energy elsewhere. How can I improve my value or get more involved? What opportunities may come out of these changes that I can take advantage of? Are there things I can be learning that will help me get through this better? These questions are at the heart of shifting one's point of view from "Why is this happening to me?" to "How can I best get through this?" The key to getting through this economic crisis is to build a business culture that helps people learn to make positive choices in the face of uncertainty. It's a partnership between management needing to focus on the big picture and the individual choosing to be part of the solution. This is true change management, transforming fear that breeds inaction to optimism that promotes opportunity and personal growth. Stop Doing and Start Helping! These may seem like fair presumptions but more often than not, advice is given on incomplete information and both sides do not have a shared view of the problem. The problem doesn't get fixed, the recipient doesn't own the solution and the blame game for a less than satisfactory solution takes center stage. Sound familiar? The first thing to recognize is the difference between advice and help. When I consult with a surgeon, I'm looking for advice, a diagnosis and for that person to take care of the problem. Accountants, lawyers, doctors, architects - these roles are structured around evaluating a situation, applying expertise and doing the work. The person is the means to the solution. Building a high-performing workforce is different. True success comes down to behavior change. Positive attitude, teamwork, trust, practice - these skills are the cornerstones of an effective workforce. You can't talk someone into having a good attitude, exhibiting teamwork or being willing to make mistakes as a way to develop skills - they must want it themselves and be willing to do what it takes to get there. But it's so much easier to just give advice and then walk away, you say. "If diagnosing and advising only perpetuates a dependency and lack of self-reliance, how can you help the group take greater responsibility for their problems and solutions?" Focus on ways to get the groups to practice and immerse themselves in the behaviors that will build their confidence to do the work on their own. Stop doing it for them. Yes, being an expert is useful but don't confuse expertise with being helpful. Expertise doesn't changes behavior. To get people acclimated to a new way of doing something, you must ask deeper questions about how they learn, retain information and are able to repeat this behavior on their own. Whether you're the sponsor, manager, consultant or colleague, step back and find ways to allow individuals and groups to do for themselves, versus being so quick to solve their problem. Only then will they be able to run with the ball in a self-reliant way. A great book that deconstructs the "helping relationship" is Edgar Schein's book "Process Consultation Revisited - Building the Helping Relationship". This book single-handedly helped me reshape how to think about consulting and make sure the responsibility for change lies with those needing to live with the change. Every once in a while management wakes up saying "let's get disciplined". This is one of those times. In a strong economy, there's no compelling reason to embrace the idea of "doing more with less". The irony is if we were more disciplined in good economic times, downturns like we're experiencing right now would not be as difficult. But that's water under the bridge and human nature - a topic for a different time. The burning platform of "doing more will less" has spread to every industry, from corporate to non-profit, and educational institutions. The challenge is not "How do we get through this?" (which we will) but how can we build organizational structures and practices that retain the disciplines we're putting in place right now? It's easy to justify building stronger foundations when a tornado sweeps through. Sustainability is a reminder to focus on the long term, not just the next financial cycle. It is necessary to start by tightening our belts, reducing budgets or institutionalizing temporary hiring freezes. But if we don't learn how to retain that discipline when the economy stabilizes or improves, we've learned very little - except to run from a tornado when it strikes. A great book that takes this long-term horizon on sustainability in Higher Education is Boldly Sustainable, by Peter Bardaglio and Andrea Putman. I highly recommend this book, both in the context of environmental sustainability but more importantly, how Higher Education needs to reorganize business structures and practices to produce greater coordination across academic and administrative functions. This is critical for sustainability in the broadest sense of the word. Raising the Bar on Buy-In! Asking for "buy-in" to your latest initiative will get you passive indifference at best. Maybe indifference is what you're looking for - light years improvement from outward dissatisfaction or hostility. But if what you really want is to motivate stakeholders (senior management, administrators, researchers, faculty or staff) to your idea, buy-in often only produces a willingness to not go against the initiative. Most likely you're looking for champions or enthusiastic support. Saying to a group "we're looking for your buy-in" communicates you want to inform, not involve. The way to get enthusiastic support is if you bring them into the circle by asking for help, feedback, ideas and participation. Yes, some stakeholders may ask difficult questions. But don't fool yourself into thinking that by keeping them at arm's length with periodic updates that you've got their support. Too often the bar is set too low around what we can ask or expect of others. For a group to be jazzed about an idea, you've got to get them involved in the change, not just inform them what's coming. To learn more about how to do this, feel free to contact me. I'll be happy to share some of our strategies. There is a certain relief in change, even though it be from bad to worse! As I have often found traveling in a stagecoach, that it is often a comfort to shift one's position, and be bruised in a new place. ~Washington Irving As part of a larger strategic effort to improve operational performance across your organization, centralizing business functions can be a very useful change. The rationale behind these projects is that by reducing redundancy, the quality of the work can be improved, processes can be made more efficient and cost savings can be realized. If only it be this easy. Like many initiatives that include structural and people change, solving one problem creates another. Imagine an army of people sitting in their metaphorical chairs for years at a time, comfortable with what they know and their position in the organization. Centralizing work changes all the rules. The best way to create positive momentum on these projects is to have leadership speaking with one voice. Once new roles are defined and the model is tested (ex: a Business Center becomes operational) it is critical for staff to know that management will hold people accountable to their new roles. Without a consistent voice from management and regular reminders of people's roles, staff will push on the boundaries of their shifting responsibilities, making it much more difficult for everyone to adjust to the new model. The process your staff will go through getting accustomed to new roles and responsibilities takes time and requires patience from everyone involved. Management should set up check points where people can weigh in how the new process is working. Asking for feedback and genuinely listening to their ideas and concerns will go a long way to helping build trust. The more people feel they have a voice, the more they will take ownership in the change. Two primary groups are affected by this change - those who will be inheriting the work of others and those giving up pieces of their job. Although this can be stressful, at some point people need to make a choice - they're either part of the solution or part of the problem. This doesn't mean accepting an unworkable process, rather for all players to ask themselves what they can do to help the new process succeed. By applying these three principles - Leadership speaking with one voice, management listening to staff ideas and concerns and most importantly everyone asking themselves how they can be part of the solution - this is how you get through initiatives that involve changing roles, responsibilities and reporting lines. You'd be lying to yourself if you weren't privately hoping for the stock market to stabilize, win back your losses and pick up where you left off last September 15, 2008. It gives me comfort to think this is just another blip in the big picture and all that's needed is time for the recovery. The prevailing wisdom is "let's just get through this." Although denial is a powerful emotion and an effective way of getting through difficult times, maybe "getting though this" is not what we should be striving for. If a crystal ball could somehow show that the next five years don't look much different from today, would you navigate your business decisions differently right now? Management struggles with questions like: Is this the time to invest or be conservative? Retrench or expand? Do we shed more workforce or move forward with what we've got? It’s even tougher for those who don't know what management will choose to do next. Am I being leveled with or should I start looking for work elsewhere? Regardless of our role, we need to find ways to focus on accepting the challenges ahead without becoming pessimistic. Step Two: Consider we're all adjusting to a "New Normal", which is the idea that things will never go back to the way they were. Navigating the new normal is the equivalent of hitting the reset button on your computer and starting with an entirely new set of expectations, balancing reality with a positive view of the future. A Necessary Core Belief The irony of this very difficult economy is that with so many challenges facing us, including debt issues, job losses and people’s concerns at home, many of us will come out stronger. For those that do come out ahead, a common theme you will find is a view of the world centered around optimism. Not false hope but a sense that there is a light at the end of the tunnel. Optimism drives ones sense they can make a difference no matter how bad things get. Consider the following: Management across all industries are beginning to raise their heads above the fox hole and are asking “Who are the people we want to move forward with”? Today, there is as much an opportunity to stand out as a contributor than ever before. The key question in the face of this culture of pessimism (often driven by the news) is: Can you avoid getting sucked into negativity and remain aware of the challenges, while remaining positive? Yes, being awake to the challenges surrounding us can be emotionally draining and difficult to deal with as one person. In business, we address this by focusing on teamwork, which is much more than a poster on the wall that offers pithy sayings how to get things done. Businesses in this new economy will fail if they don’t learn how to put real teamwork into practice. Think hospital emergency rooms as the model for effective teamwork. Behave with this sense of urgency and you’re more than halfway there. If you can find ways to bring optimism and genuine teamwork to your organization (or a business you’re looking to join), you become part of the solution. Wait for things to change and hope for the best - you’ll probably find yourself on the sidelines with a reinforced view why things are so bad. 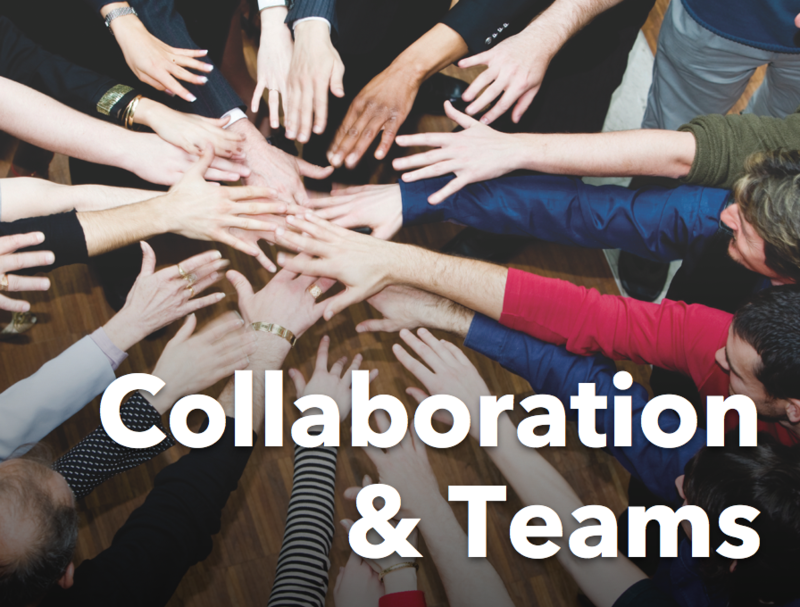 It's reasonable to expect teams to collaborate. Human nature however leads people to manage their own "slice of the pie". Management needs to take a hard look at the real message being conveyed across the organization about getting things done. The question can be boiled down to: Is success measured by realized strategic outcomes or is it about not being singled out as the reason for failure? Too often, senior management assumes that groups are working toward a common goal while at the tactical level, sub-groups or departments are playing hot potato with their unique tasks. Being accountable is often about not getting caught holding up the larger project versus being collectively accountable to the overall success. If you believe half of these behaviors are present in your group, it's probably worth taking a look at what can be done to proactively turns things around. Much of the work of building team is about having greater transparency and dialogue around the issues described above. Finding ways to talk about it goes a long way in addressing the problems. Many of us have forgotten what's it's like to learn something new. Our own skills and competence came from others allowing us to step into new roles or responsibilities. We learn best by doing, and delegating to others gives them that opportunity to grow. Does the delegatee understand what's expected of them? Don't assume. Ask! Are you prepared for the delegatee to make mistakes or come back with questions? If not, don't delegate the work. You're only setting them up for failure (in your eyes). Are you willing for this person to do the work using their style and method? How one performs the task is only one way it can be accomplished. Focus more on the outcome you're looking for, not the style or method someone uses to get there. Too often these questions are posed rhetorically and we muddle through process change poised as answers, truly afraid of what we might hear if we addressed them head-on. If we’re truly going to move our business from good to great, or through these difficult financial times, a paradigm shift needs to happen in the way we communicate and listen. True communication is not about slick tools, faster internet access or even clear speaking. It’s about raising consciousness of what we put out and how we listen, being more interested in results, not the reasons for our failure. We have to take our communication to the next level. We have to solve team problems by focusing on issues and results rather than personalities and blame. We have to motivate our people to do the right things at the right time, not because they have to but because they want to. We have to reward team success in spite of living and working in a culture that focuses on individual accomplishments. We have to develop a workforce that takes responsibility for their actions versus looking for reasons things don’t get done. 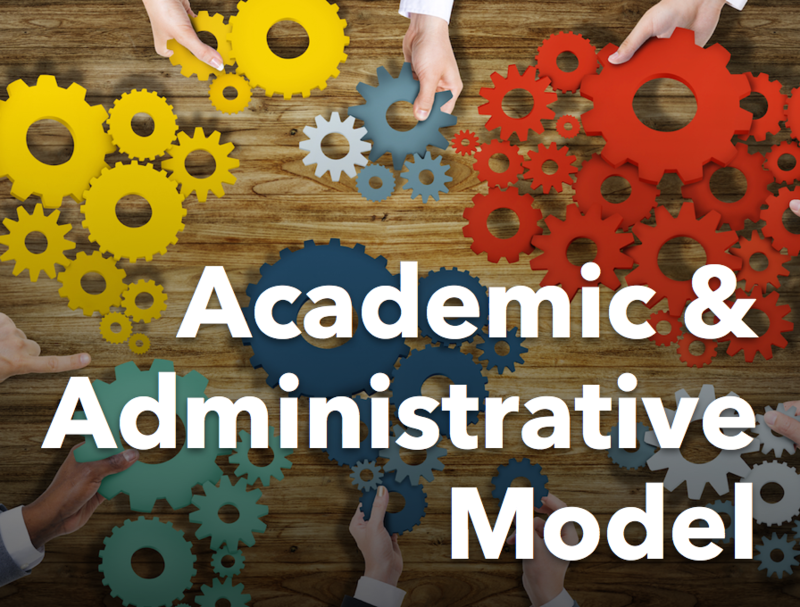 We have to create departmental goals that are achievable and are understood by everyone. We have to develop our workforce to embrace mistakes as an opportunity to learn, versus something to avoid. Applying these principles builds trust in a business culture of change and uncertainty. 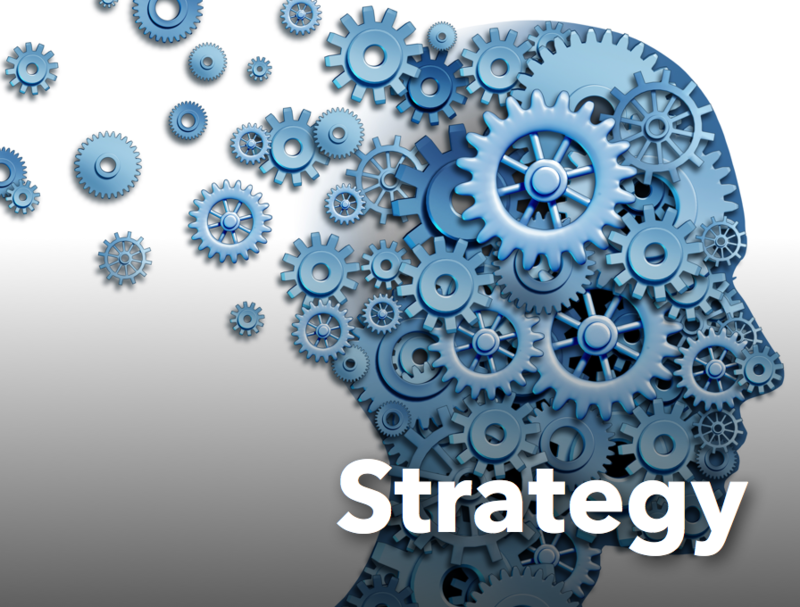 Just try taking on one of these strategies in your own work. See if you don't discover a renewed connection with individuals, teams and your entire organization in a way that makes your career more purposeful, productive and satisfying. Broadening the Definition of "The Bottom Line"
I don’t like change. If you say you do, there is a good chance you are either a masochist, a consultant, or just plain lying. Sure, there are a lot of benefits to change—it can even be inspiring, but do you really seek it out? Or is it just that you are adept at responding to it? Love it or hate it there is no denying that change is disruptive, plain and simple. In business, you’re constantly faced with change - new markets, economic forces, staffing issues, software upgrades, the list goes on. The work of the 21st century business leader is to evaluate how to deal with this endless list of opportunities and challenges, and filter it through the “bottom-line” – financial measures that reflect the health of the organization. 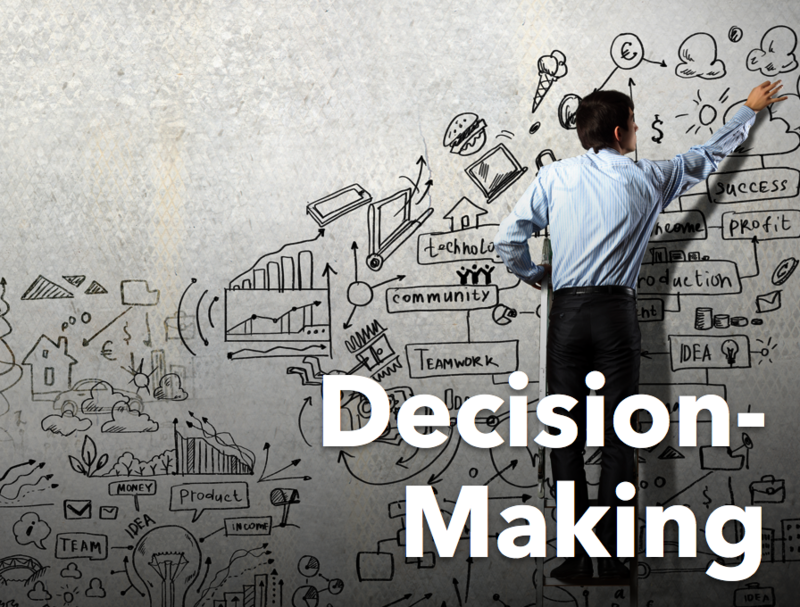 Besides financial measures, what else should leaders take into account in making strategic decisions? How about “Trust Equity”, or how well you and your people operate transparently with each other. Do you not say your most important assets are those you surround yourself with? Ideally, this core group of bright, articulate and entrepreneurial individuals operate as your eyes and ears, evaluating economic, market and technology changes. Face it. You really don’t know what’s going on. Your direct reports will do everything in their power to show how well and on target they are, while avoiding news that may concern or upset you. This should come as no surprise. It’s human nature to look out for ones security. This is a core benefit of building trust equity. Trust is the means to an end, the most important end is knowing what’s going on around you. Although we often operate by the principle “No news is good news”, it’s “What you don’t know that will kill you!” Building trust allows you to manage down in a way that encourages people to uncover issues they don’t think you want to hear. As a function of the teibelinc.com redesign, I struggled mightily with a few things. How to characterize change as both a constant struggle to overcome organizational adversity, and at the same time to communicate that I am a great optimist and advocate that such obstacles can be overcome. How to show that I believe strongly that the best change projects are not always just about incorporating the new, but putting the same old pieces of the organization together in new, innovative ways. Should I put a blog on the site? I think we answered the first two questions. The third will have to come in partnership with you. I realized that so much of what I do, so many of the stories of change that I come across each day, highlight the companies that are "doing things right" now. They've made a commitment to how they focus their people, process, and technology initiatives, and through wonderful feats of ingenuity they have managed great change while reducing the pain that can come with it. In large part, they have done so by increasing the levels of trust and communication between teams, across layers of management, and have delivered results thanks to their efforts. These are stories that more people, more teams, and more businesses need to hear. And so, I welcome you to The Trust Blog. I'll be posting my stories of trust, teams, and change, and posting links I believe are of value in your change initiatives. In return, I hope you'll find this a space where you can share your own stories and interact with me, and your peers, through insightful and observant comments and trackbacks. Thank you for your patience through our redesign efforts, and thanks in advance for your participation on the site. I look forward to hearing your stories of change management success!